The Qatari Cabinet at a meeting in June 2016 ordered taking necessary measures for the issuance of the draft law on international commercial arbitration in Qatar, after having been briefed on the recommendation of the Advisory Council with respect to the draft law, issued in 2015. Over the past few years, through the widespread ratification of the New York Convention, and the distrust of local courts due to repeated delays and lack of neutrality, parties have established arbitration as the “normal means of resolving complex commercial disputes in MENA”. Qatar, like Saudi Arabia, is an example of this significant evolution in favor of arbitration. The first important step was on 30 December 2002, when Qatar acceded to the New York Convention on the Recognition and Enforcement of Foreign Arbitral Awards. 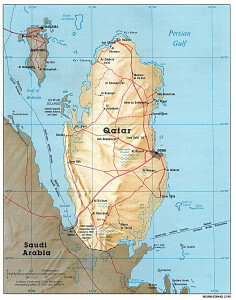 The second was in 2015 when, under the influence and presence of expatriate international arbitration practitioners, Qatar released a new draft arbitration law, based on the UNCITRAL Model Law, which was meant to replace Articles 190-210 of the Civil and Commercial Procedural Law of 1990, considered as outdated and including several obsolete rules. First, the new law is more modern as it accepts as valid an electronic version of the arbitration clause. Second, it affords the arbitral tribunal a greater independence. The appointment of arbitrators shall be among those persons registered at the national registry of arbitrators at the Ministry of Justice (to be established by the new law). Third, unlike the old law, the new law consecrates the principles of severability of the arbitration clause from the contract and the rule of competence-competence. Fourth, the new law promotes both confidentiality by expressly precluding the publication of the arbitral award, partially or wholly, unless both parties have agreed otherwise, and efficiency. Indeed, in the absence of any agreement to the contrary between the parties, the arbitral tribunal must render its final award on the merits of the dispute within 12 months from the commencement of the arbitration proceedings. Finally, the new law also acknowledges the finality of arbitral awards. The losing party can no longer appeal an award, but can challenge it through an annulment, within 90 days, on the grounds of lack of procedural integrity. These new provisions will most likely promote international commerce and investment in Qatar and are to be commended. IBA, The Current State and Future of International Arbitration: Regional Perspectives, September 2015, pp. 33-34.